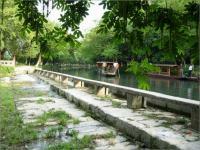 Built in the year of 214 B.C., Qin Dynasty, Ling Canal is one of the oldest canals in the world. 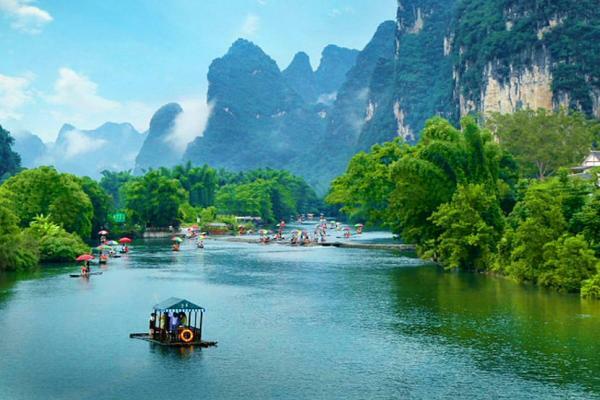 It is located in a small county called Xing'an, 40 miles (65 km) north of Guilin. 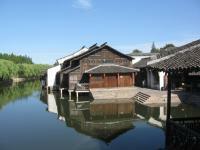 Ling Canal was once served as an irrigation and transportation canal. 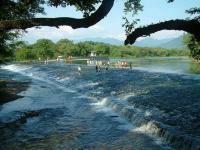 Now it still plays its role on irrigating about 2700 hectare of agricultural lands. 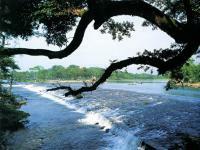 Ling Canal is divided into the northern and the southern sections, with a total length of 34 km. 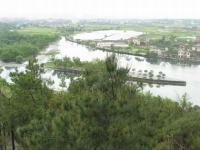 The dividing point is a V-shaped dyke in the east of the county, commonly known as Tianping (The balance). The sharp point of the dyke is called HuaZui (Plough Share), which bifurcates the water from the upper reach of Xiang-jiang River into two parts, of which one part, 30% of the whole flow, goes to the Li River, and the remaining 70% to Xiang River, which finally flows into Yangtze River.